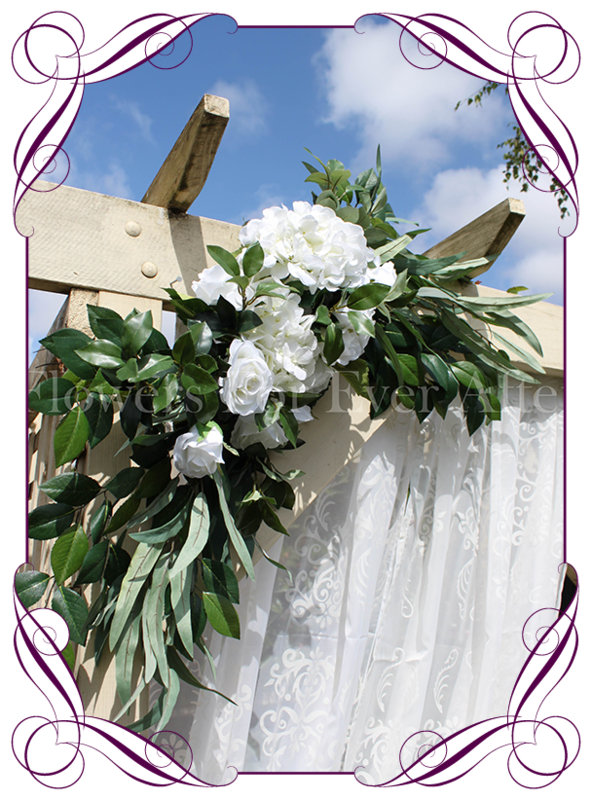 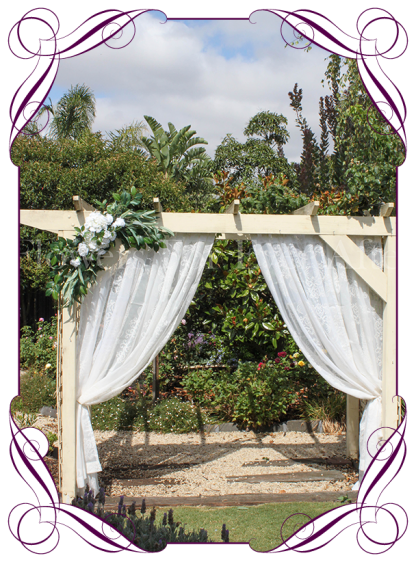 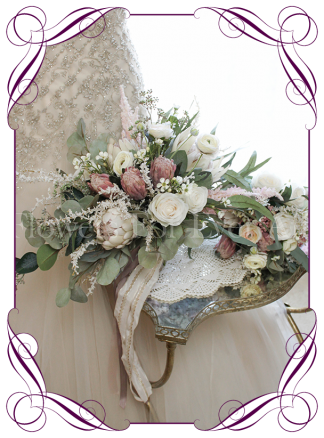 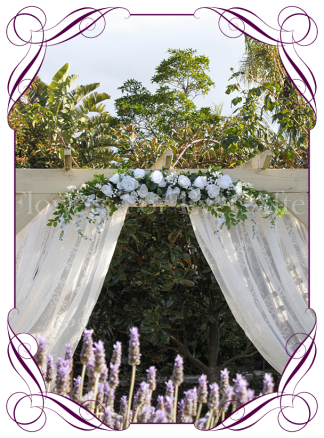 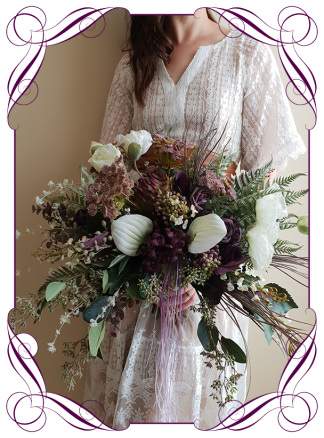 Corner Arrangement – A beautiful silk wedding arbor / arch decoration perfect for the corner of an arbor or the center of an arch. 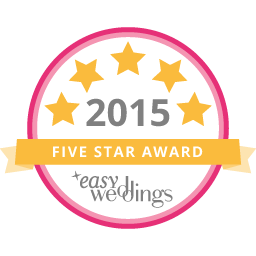 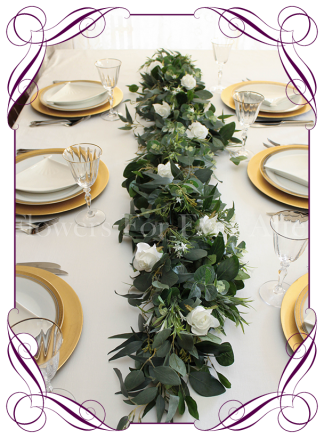 Features white roses and hydrangea with gum leaves and ficus foliage. 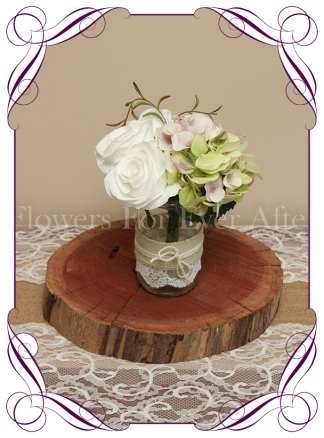 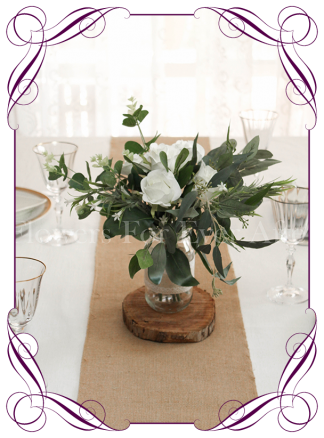 This arrangement can be removed from your arbor and placed in front of the bridal table as a table garland on the day also…a great way to minimize costs when decorating. 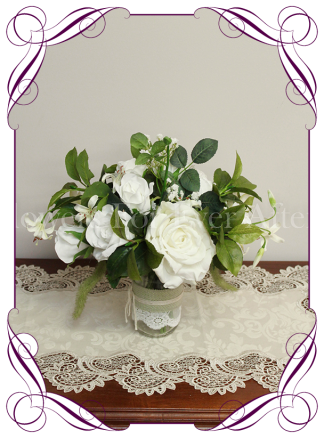 Measures approximately 100cm in length and 28-30cm wide at widest point.